If you have health problems due to a sedentary lifestyle, have you considered hiring a health coach? This might be a helpful strategy. Currently, half of all adults in the US have at least one chronic medical condition. Even worse, the World Health Organization estimates that, by 2020, two-thirds of all disease worldwide will be the result of lifestyle choices! 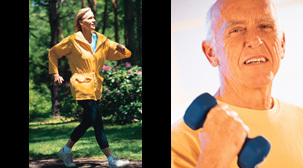 Exercise is one of those lifestyle choices that is absolutely essential to maintaining your health. For this reason, I've said for years that an "exercise specialist" is the missing member of the health care team. In 2013, I attended the annual meeting of the American College of Preventive Medicine and heard physicians talking about health coaches no differently than other health care professionals. Thus, physicians have embraced the concept of a health coach, and some have already incorporated them into their daily practice. First, don't confuse "health" coaches with "life" coaches. Health coaches help guide you to optimum health. Generally, the primary focus is on (a) exercise and (b) smart nutrition. A health coach should also not be thought of like a physician assistant. A physician assistant is an extension of a physician, often performing simple, common tasks that physicians do. For example, in the hospital setting, a physician assistant might write orders in the patient's chart for a surgeon when he/she is in the OR. In the office setting, the physician assistant might obtain your medical history, do a physical exam, and/or perform simple procedures. I went to a dermatologist recently and a physician assistant froze a mole on my forearm. These are all examples of tasks that a physician assistant does that mimic the role of a physician. I am a health coach. When I coach clients, I focus exclusively on (a) exercise and (b) smart nutrition. Because most physicians in primary care don't offer this advice, a health coach adds a new dimension to medical care. In other words, while a physician assistant mimics the existing functions of a physician, a health coach expands medical treatment by offering expertise that currently isn't provided. A health coach cannot "practice medicine"...only a licensed physician can do that. It is important to keep in mind that the treatment of medical conditions is exceedingly complex and should never be thought of in a "cookbook" manner. The scenarios in the table above are offered in an attempt to highlight when a health coach could be used to help manage a medical condition. Further, even when the situation seems straight-forward -- such as the initial occurrence of a modestly-elevated blood sugar -- it is often best if you first see a physician. The physician can then refer you to a health coach for exercise and nutrition coaching. "LIFESTYLE"-RELATED DISEASE GIVES RISE TO "LIFESTYLE MEDICINE"
While you might think that your primary physician is, or should be, your health coach, unfortunately, most physicians are not well-trained in either exercise physiology or nutrition. A survey of US medical schools several years ago revealed that only 30% had a dedicated course in nutrition (Adams KM, et al. 2006). Formal didactic education in exercise physiology occurs even less often in medical schools. In 2011, the American College of Sports Medicine (ACSM) crafted a set of knowledge goals for medical students in the area of lifestyle medicine. Then, in September 2013, thought leaders in lifestyle medicine (including Edward Phillips, MD, from the Institute of Lifestyle Medicine and Steven Blair, PED, from the University of South Carolina) convened to identify the steps needed to incorporate formal education of lifestyle medicine in medical schools: University of South Carolina Conference on Lifestyle Medicine Education in US Medical Schools. In fact, the medical profession has already evolved a handful of graduate and post-graduate educational programs in lifestyle medicine for medical students, medical residents, and physicians in practice. (An extensive list of these programs is available on the ACLM web site.) Professional organizations such as the American College of Lifestyle Medicine and the Institute of Lifestyle Medicine have been established. A professional journal called the American Journal of Lifestyle Medicine now exists. But, until a large number of physicians have been trained in lifestyle medicine, if a health coach is not your physician, then, who is this person? In my opinion, the ideal health coach is someone who (a) has a college degree in a health care-related field and (b) has actually worked in the health care environment. And, they must also understand the multi-dimensional health benefits of exercise on human disease. It is much easier for a trained health care professional to learn the nuances of exercise physiology than it is for the average personal trainer to learn all of the vast details and complexities of human diseases, drug pharmacology, clinical lab tests, how the health care system works, etc., etc. In other words, I believe a solid knowledge base of clinical medicine and the health care system is essential to be an effective health coach. When advising clients with medical conditions how to exercise, it is critical that the health coach realize that even a seemingly benign exercise-related problem could be potentially very serious. For example: a blister that develops on the foot of a diabetic after walking, or complaints of a headache while weight-lifting in someone with hypertension, or complaints of back pain in an elderly person with osteoporosis after doing a yoga class. Further, many clients with diabetes, hypertension, elevated cholesterol, etc. are going to be taking prescription drugs. How exercise interacts with drug therapy is an extremely complex arena, one that even health care professionals are not very familiar with...even less so for the typical personal trainer. I received extensive post-graduate training in clinical pharmacology and therapeutics. After completing my post-graduate program and a rigorous clinical residency, I worked for 3 years in an adult ICU in a large Chicago hospital and 7 years with a department of adult internal medicine at a university teaching hospital. My education and 10 years of patient-care experience in large hospitals provided an excellent understanding of many of the principles involved in using exercise as a strategy for improving health problems. Along the way, I obtained a "Personal Trainer" certification from the American Council on Exercise (ACE), a "Health Coach" certification from ACE, and the "Health Fitness Specialist" certification from ACSM. I realize that my background is fairly unique, and, frankly, it may be challenging to find a health coach like I described above. However, recently, Loma Linda University created a post-graduate clinical residency program for physicians in the area of preventive and lifestyle medicine. Yale also offers a post-graduate residency program to young physicians that emphasizes "lifestyle" medicine. If you can find a physician who has completed a residency program like this, he/she would be an ideal health coach. The American College of Sports Medicine (www.ASCM.org) is the preeminent sports medicine organization in the US. 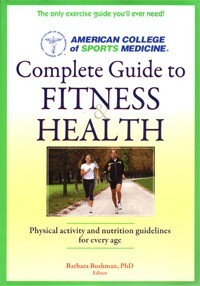 In November 2007, together with the American Medical Association, ACSM launched the Exercise Is Medicine initiative (www.ExerciseIsMedicine.org). The goal of this campaign is to encourage physicians to "prescribe" exercise just as they would prescribe drug therapy for specific conditions. 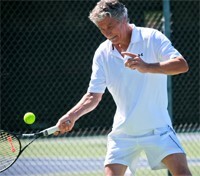 In 2012, the ACSM began offering an "Exercise Is Medicine" credential. If you can find a health care professional who has obtained this credential, he/she would be an ideal health coach. These examples are appropriate certifications from qualified organizations. Personal trainers have been around for decades and they, too, provide exercise guidance and nutrition advice. So, what's the difference between a personal trainer and a health coach? Admittedly, there is a lot of overlap here. And leading certifying groups like ACE and ACSM offer certifications for both. It is absolutely critical that any health coach you work with has a solid combination of (a) academic training, (b) clinical experience, and (c) certification. A health coach should have real-world experience from the health care arena. Otherwise, it's a situation of the blind leading the blind. what certifications do you hold? are they current? The answers to these questions will reveal a great deal about the knowledge and skills of the person. You should look for a person who will work with you as opposed to the drill sergeant type personality. Your input in the design of the plan is important. Here is an example of a poor goal: "Lose 75 lbs before my wedding." First, this goal might not even be achievable. Most experts recommend that weight loss occur no faster than 2 lbs per week. In other words, working with a health coach can help you set goals that are realistic. Second, health improvement should always be a higher priority than physical appearance. Research now shows that a person with a BMI of 25 or 26, but who is aerobically fit, could actually be "healthier" than someone with an ideal BMI but who is unfit (Lee D-C, et al. 2011) (McAuley PA, et al. 2014) (Sui X, et al. 2007). A health coach should respect the fact that you and your primary care physician are the central decision makers regarding your medical care. A health coach should not argue with you or your primary care physician, nor should he/she tell you that the advice your physician is giving you is wrong. That would be unethical. However, there is a gray area here. Because physicians are not well-trained in exercise physiology and nutrition, from time to time, differences of opinion might arise. On matters of acute medical care, the health coach should defer to the wisdom of your physician. If you're interested in an authoritative book to get you started on exercising to improve your health, ACSM offers their Complete Guide to Fitness and Health. • For Medical Students: The web site for the American College of Lifestyle Medicine provides a nice list of medical education/training programs in lifestyle medicine here. • For Physicians in Private Practice: The Institute of Lifestyle Medicine offers CME classes in-person and online addressing how lifestyle strategies can be used in medical care. A slide show from a presentation by Edward Phillips, MD, director of the Institute of Lifestyle Medicine, from May 18, 2013 is available here. Also, the annual ACSM meeting offers the World Congress on Exercise Is Medicine.